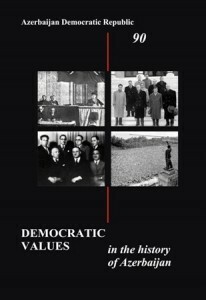 Edited by Leila Alieva, Democratic values in the history of Azerbaijan is the latest publication of the Center for National and International Studies. It details the proceedings of eight round tables which the Centre for National and International Studies completed in 2008-2009 in the regions of Azerbaijan.These conferences were conducted in Sheki, Ganja, Salyan, Shirvan, Guba, Masalli, Balakan and Barda in connection with the 90th anniversary of the first democratic republic of Azerbaijan – the Azerbaijan Democratic Republic – of 1918-1920. Due to some technical problems with recording, some parts of these conferences have not made it into this publication, but it still covers nearly all the important presentations and debates.